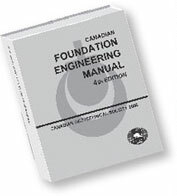 The purpose of the Heritage Committee is the promotion of awareness of the history of geotechnique in Canada. CGS members and other interested parties are encouraged to identify, collect, and submit material that may be of archival interest. Please note that we work only with ‘virtual’ archives and do not have the ability to retain physical documents. The Heritage Committee plans to continue activities such as updating the “Lives Lived” section of the Heritage Archives, documenting the history of the various regional chapters, and documenting important case histories. New initiatives include organizing a list of Terzaghi, Peck and Casagrande’s contributions to Canadian Geotechnique, and working with the CGS in the reorganization of the Heritage Archives. The history of some of the Vancouver, Edmonton and Calgary Sections has been compiled and published in CGS News. At the GeoVancover Conference in October of 2016, Committee Member Dr. Jacques Locat gave a keynote presentation on historic rock slides at Petit Champlain St. in Quebec City. The paper is available in the GeoVancouver proceedings. Please contact the Heritage Committe at Heritage@cgs.ca, if you have any comments or suggestions. For more information, visit the CGS Heritage Archives.